A new investigation has found more than $40 million in taxpayer dollars have been spent over the past decade on the maintenance and expansion of Confederate monuments and sites. A pair of journalists visited more than 50 of those sites and filed 175 open records requests to track public spending. On this edition of Political Rewind, President Trump visits Atlanta for the college football national championship game. What plans do protestors have to make their voices heard? Also, the Georgia Legislature is back in session. Will lawmakers steer clear of hot button issues as they prepare to face elections later this year? And, there are new plans to rebrand the state’s most prominent tribute to the Confederacy. We’re in Halloween mode with some uncanny tales, but not every story is scary. David Hirt is a professional storyteller. This month, he shared Southern Ghost stories at the Art Station Theatre in Stone Mountain. We asked him to share a spooky story. The Democratic Party has evolved and been molded over generations. 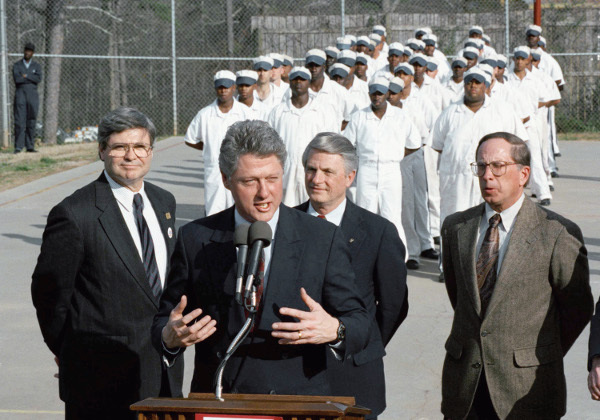 Bates College lecturer Christopher Petrella says one photograph of Bill Clinton campaigning for president at Stone Mountain in Georgia paints a narrative of the Democratic Party’s history of discrimination.